Rediff.com » Getahead » Stand with Kerala. Visit! The sun is out. The flood waters have receded. Keralites have spent crores in quickly cleaning up the state and making it visitor ready. Go to Kerala folks! says Nikita Puri. On the first Sunday of last month, Temsüyanger Longkumer arrived in Kerala and walked around Fort Kochi, once home to the Portuguese, then the Dutch, and then the English. "I walked around in the sun so much that I almost got a sunstroke," says the London-based multimedia artist, laughing. 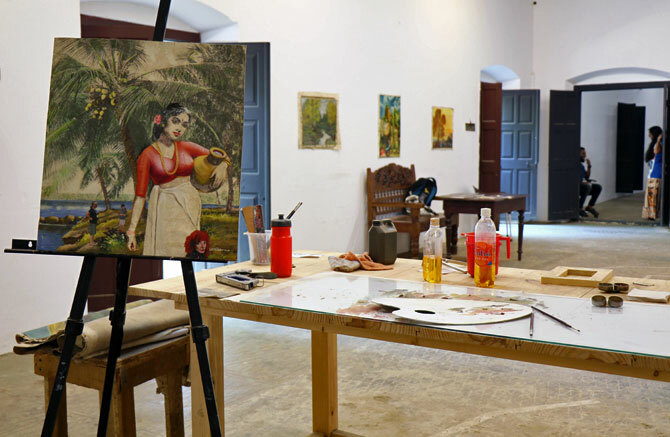 In town to see the sites that could potentially host his work, Longkumer is among the first batch of artists who have travelled to Kerala in preparation for the fourth edition of the Kochi-Muziris Biennale that kicks off on December 12. Last month, when 46 tourists from Australia reached Kochi on a chartered flight, they were welcomed with cymbals and drums, jasmine garlands, a Kathakali dancer in full gear, and dozens of photojournalists all vying for the perfect shot for the next day's front page. Just before that, 10 students from Turkey were accorded a similar welcome as they got on to a houseboat in the backwaters of Alappuzha. 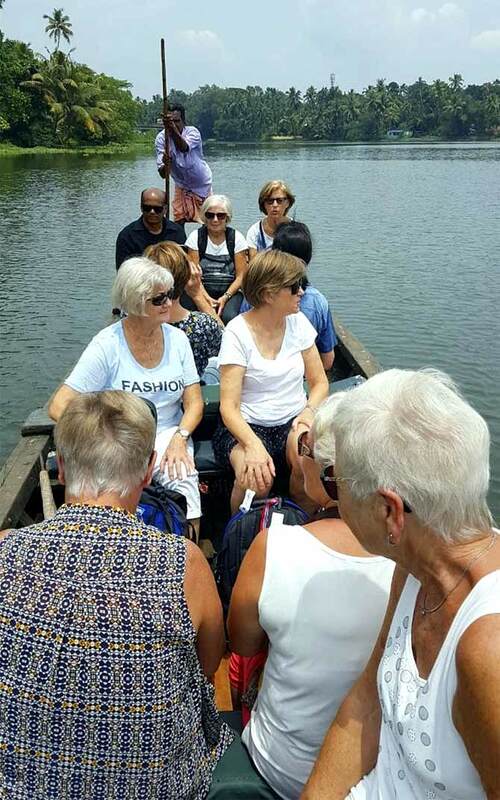 Then an all-woman group from Norway went geese-watching in canoes in the Poothotta backwaters near Ernakulam. Understandably, Kerala, ravaged by the recent floods, is celebrating all of these arrivals as it gets back on its feet. And though the tourism and hospitality industry, which employs over a million people and accounts for 10 per cent of the state's gross domestic product, has been severely hit, it is pulling itself up. 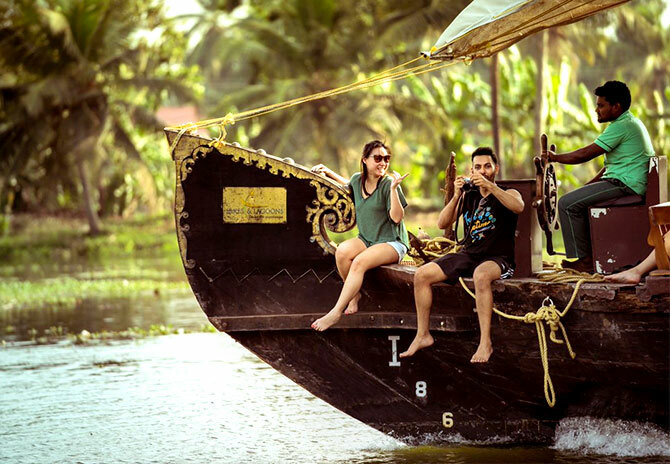 Last year, the state's famed houseboats, which cruise on 900 km of scenic backwaters, its Ayurveda spas, sunny beaches, leisure resorts by lagoons and lakes, and picturesque hill stations had brought in over 15.7 million tourists. The total revenue from tourism alone was Rs 333.84 billion -- up from Rs 296.59 billion in 2016. But in 2018, even as the Neelakurinji flower that blooms once in 12 years is beginning to carpet Munnar in a purplish-blue hue and the tourism department has announced that Kerala is officially back in action, tourists are yet to come back in full force. "This time of the year, I should have been in Munnar or Thekkady but saara kaam bandh hai (business is currently closed)," says Shiji K S, a Kochi-based driver who works with different tour operators. "Instead of outstation tours, I am sitting in Kochi all day long hoping to get at least a few rides within the city itself." According to S Sajikumar, chairman, Kerala chapter of the Confederation of Indian Industry, the state's overall loss is estimated to be at least Rs 400 billion. 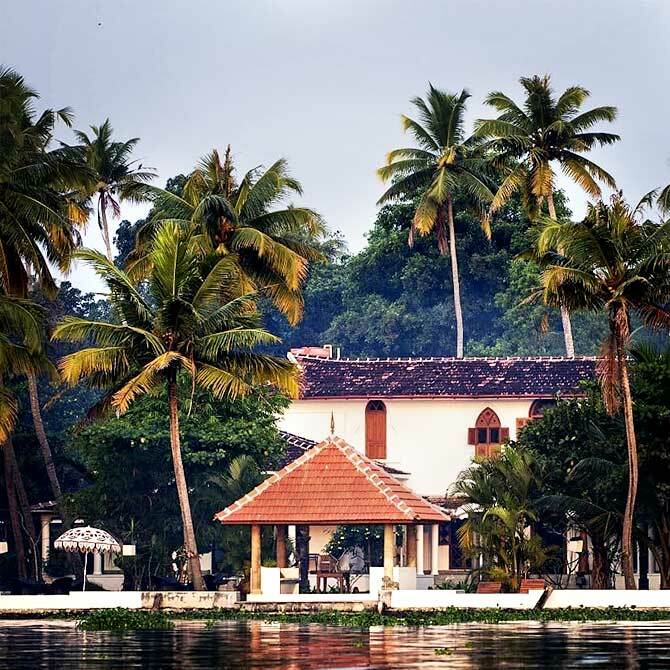 The numerous rivers and waterways running across Kerala essentially divided the state into areas that were untouched by the flood waters and those that were completely submerged, says Joerg Drechsel, delegate chairman of the Asian chapter of Relais & Chateaux, a global fellowship of luxury hotels and restaurants. 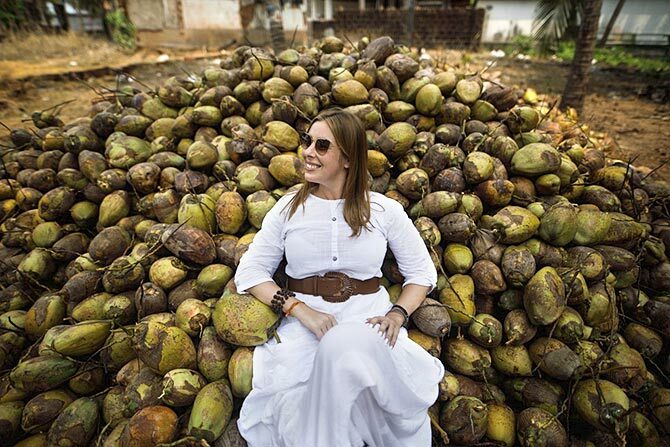 Drechsel is also the founder and director of The Malabar House at Fort Kochi and Malabar Escapes, a chain of fine boutique hotels in Kerala. Like it was in 2016, The Malabar House will host artist Dayanita Singh's work during this Biennale too. "The tourism infrastructure is mostly back on its feet; that's not a problem at all," says Drechsel. What is left is rehabilitation of local communities and people, like the young manager at The Malabar House who lost her home and belongings to nine feet of water. "Had it been only one area, the damage could have been contained, but there are 94 dams and 14 districts in the state," says Saji Joseph, CEO, The Malabar House and Malabar Escapes. The only reason Kerala has been able to recover so fast is because of the coordinated efforts of everyone. The annual Kerala Tourism Mart, which brings together stakeholders from the state's tourism industry, is coordinating between local tourism bodies and the chief minister's office. This has helped the recovery to be a very "focused effort", says Joseph. Travel across the state and it is only in the interiors that you find evidence of the floods. From a tourism point of view, the recovery has been expeditious. En route from the airport to Fort Kochi, the prime site for the Biennale, it is hard to imagine that parts of the city were 10 feet underwater barely a few weeks ago. While the airport itself was flooded, incurring losses worth Rs 2.5 billion, the LuLu Mall, reportedly India's largest mall, too was shut as the basements were flooded. 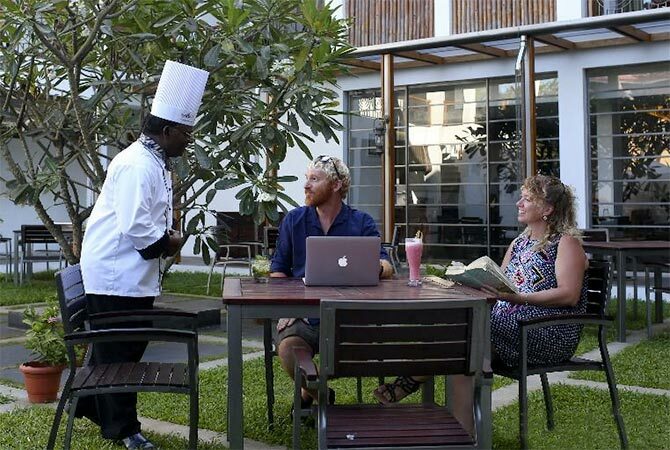 The same story played out at the Kochi Marriott Hotel right next door as well as in Courtyard by Marriott near the airport. With no signs of damage, it is now business as usual. 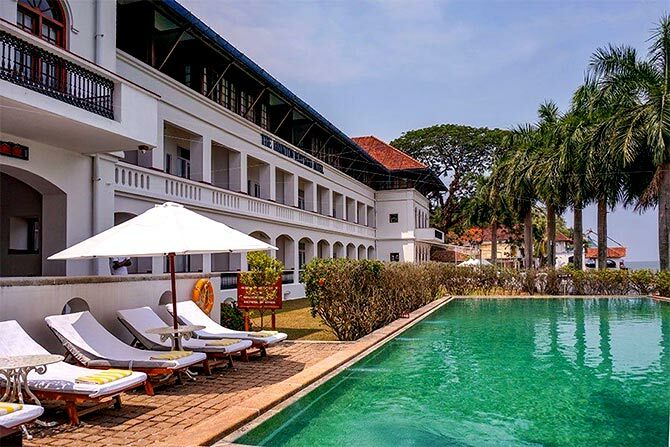 At the other end of the town, at Fort Kochi, renovations are on at David Hall, an old Dutch bungalow managed by hospitality group CGH Earth. This is one of the venues for the Biennale. Not far from here is a church where Portuguese explorer Vasco da Gama was buried before his body was removed to Lisbon. And, there are the famously massive Chinese fishing nets, which withstood the strong winds that came with the monsoon. Walk along the lanes in the area and you can spot reminders of the previous editions of the Biennale -- graffiti on the walls. The floods did not touch this part of the state, says G Vijay, CEO of CGH Earth, who meets me at Brunton Boatyard, once a shipyard under the British. 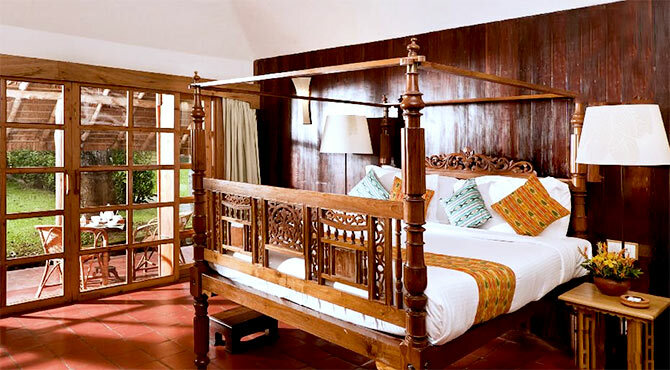 The CGH group is known for its 18 ecofriendly properties that include heritage bungalows and mansions, traditional Kettuvallams (houseboats from the Kuttanad region) and beachside pool villas. A large ship blasts its horn and sails on towards the Cochin Port, which one can see from Brunton Boatyard. 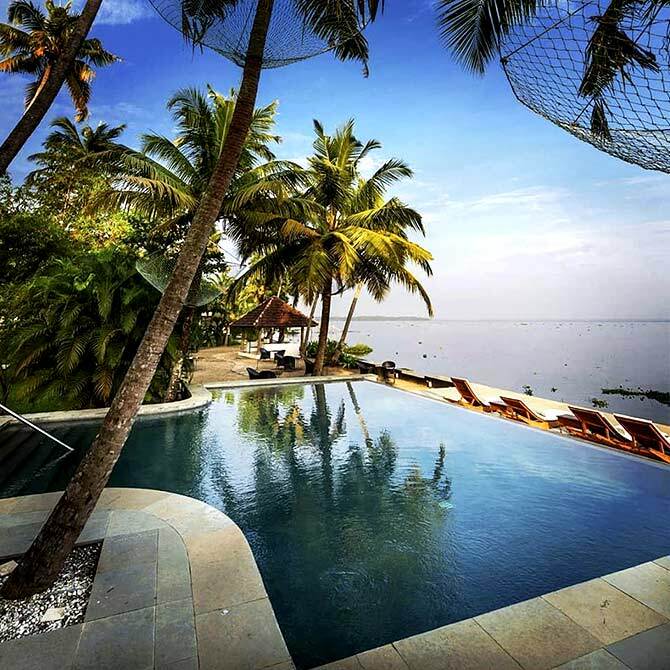 As the salinity of the sea begins to smell familiar, Vijay sips his coffee before telling me about Coconut Lagoon, one of the group's most sought-after properties next to the Vembanad Lake in Kumarakom. "We had to wade through chest-deep water in the resort to assess the extent of the damage," says Vijay. "It took four-five days to completely remove the water. We had to change switches, fix the electric panels, sanitise the whole area, repaint all the walls and polish the floors. It took us 10 to 12 days to get things back in shape." Mattresses had to be replaced and a fresh collection of handmade carpets had to be ordered from Cherthala, a town of weavers. But in properties such as these, it is hard to estimate losses. For years together, guests would feed the 70 or 80 tortoises that lived in a pond on the property. "We found only a few tortoises and the big fish are all gone," says Vijay. And so is the kitchen garden where guests would harvest string beans and cucumbers. The resort is also home to some rare, indigenous Vechur cows. Luckily, says Vijay, they all found their way to the high-arched bridges inside the property that remained above the water. All its 49 rooms the weekend I spoke to Vijay are occupied. The rebound is heartening, says Vijay. 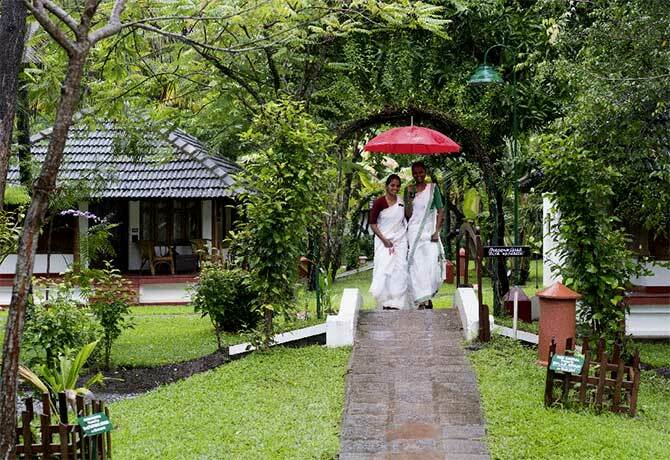 Things were relatively better at Purity at Lake Vembanad, a property by Malabar Escapes, which was just in line with the water when the lake's level rose. "It took us about a week to clear the garden areas and a few guests started arriving in about a week after that," says Drechsel. "This is the second time we are being hit this year," says Drechsel, referring to the Nipah virus scare in Kozhikode in May. 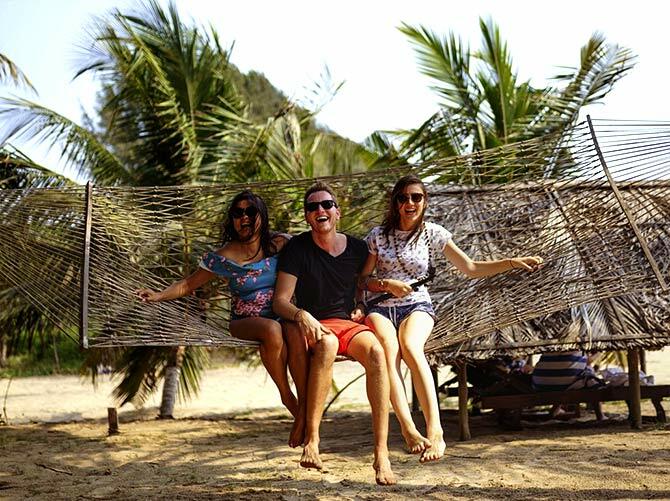 "We had several cancellations then as well and even people who were to travel in January 2019 had doubts about coming to Kerala," adds Joseph. Every year, as the afternoon sun sparkles on the backwaters of Alappuzha, boats about 100 feet long and each carrying 100 oarsmen gear up for the annual racing events. Aptly named snakeboats, these vigorously slither on the water like large wooden serpents as soon as the whistle blows. Thousands of tourists cheer them on from the banks, marking the perfect start to the Onam festivities. Capitalising on the trend of league-based sports (like the Indian Premier League), August would have marked Kerala's maiden outing of the Champions Boat League, with Sachin Tendulkar flagging off the races that were slotted to go on till November. But the floods brought the 'Olympics of the backwaters' to a halt even before they began. Reports suggest that the backwaters industry has been suffering a loss of Rs 12 million every day since the floods. "It is actually closer to Rs 20 million a day," says Josekutty Joseph, president of the Alappuzha-based All Kerala Houseboats Owners Association. "People haven't been paid for almost two-and-a-half months because there hasn't been any business. It's an unimaginable loss." So far, he says, only 10 to 15 per cent of the usual Indian and just about 5 per cent of foreign tourists have arrived. Though the Biennale is likely to bring in tourists, one cannot wait till December, feel many. "If we lose out for two months now, we will get into a loss in our annual balance sheets," says Drechsel. Thankfully, tourists are beginning to show support. For instance, after a period of uncertainty, guests have finally started arriving at Saneesh Thomas' budget homestay in Munnar. "Munnar was previously cut off because of landslides. 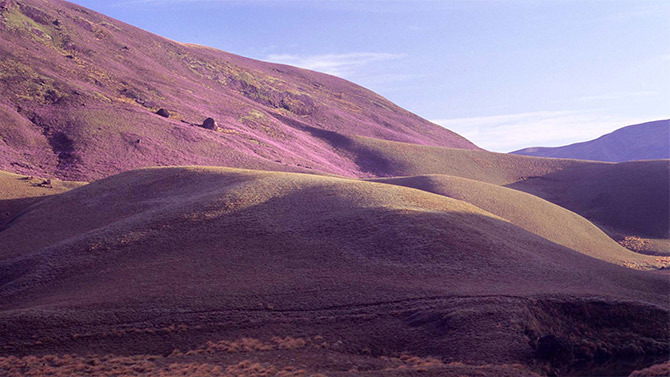 But now our rooms are full as people have come to see the Neelakurinji bloom," says Thomas. "We'll soon have someone from Germany who wants to spend two weeks cruising through the canals and backwaters to experience the local culture," says Vijay. The usual stay in a houseboat is only for a couple of nights. "We have to send out the message loudly and clearly that Kerala is ready for visitors. 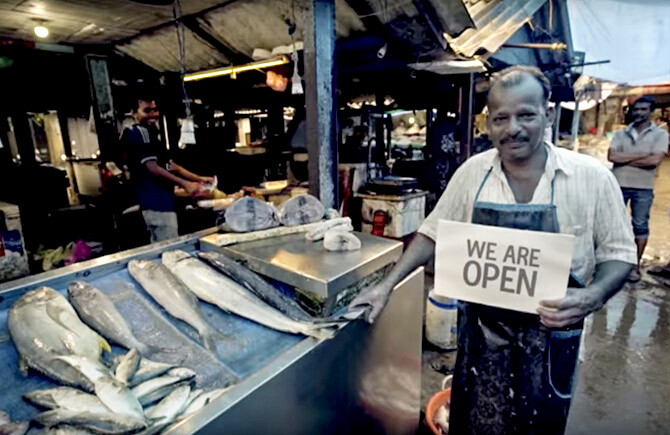 We have everything up and running, and it's safe to come here," says Joseph of the All Kerala Houseboats Owners Association. As Drechsel rightly points out, what the state needs is long-term support from tourists and well-wishers as it rebuilds itself. The best way to stand with Kerala would be to find your way to it. What's so magical about this tiny island in Kerala?